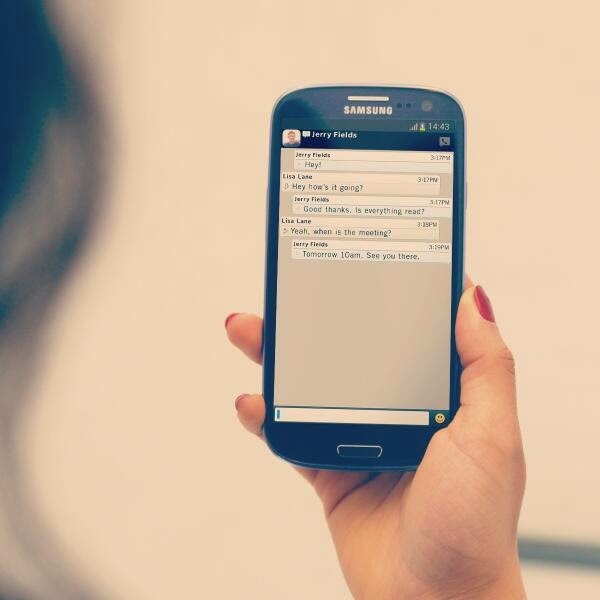 Two days ago, we brought you news that the cross platform blackberry messenger app for Android and iPhone would likely be available on the 27th June . 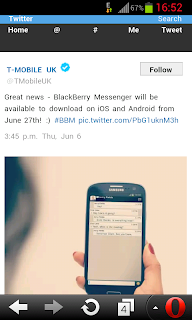 Well the guys at T-Mobile UK have confirmed that the BBM app would be available on the June 27th in a tweet sent from their verified twitter account. 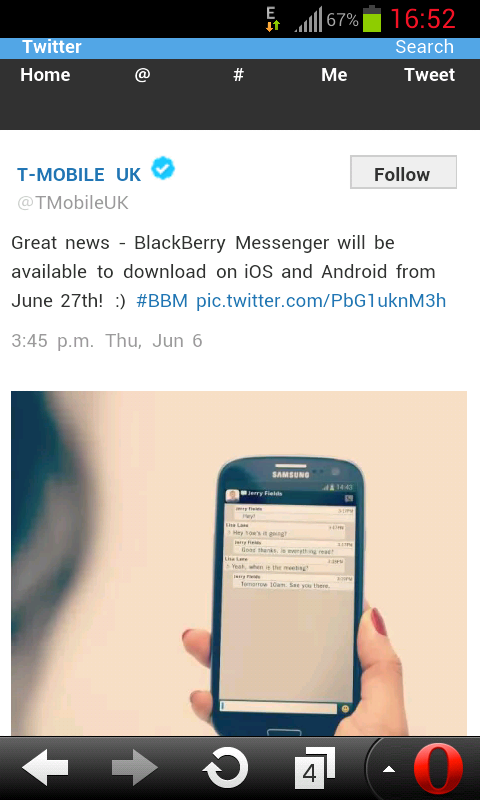 The tweet as shows the BBM app running on a Galaxy S3.